Regardless of the specifics of the form, however, the site has always intended to be one man’s CV, and it still is. Most significantly, it was always best known back in the day for being a repository for NBA salary information. That was a different era, of course. Other sites can and do do that instead now, and good luck to them – they have businesses to run. The aim of collating the salary information in the first place was never to get traffic. This is not a business. 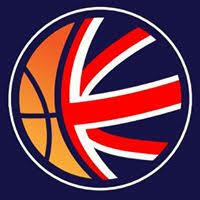 The aim was instead to have a good foundation of information with which to be able to analyse, theorise, understand and speculate about the business side of the NBA; of trades, transactions, signings, waivers, all of what happens, why it happens, and what we can try to plan and anticipate. I collated the data only because I wanted to it to be usable. Usability of the data is still the key. And with this in mind, I would hereby like to announce the rebirth of NBA salary information at ShamSports, via a shiny new cap-related toy. After three and a half years of what I think they call development hell, it is my very great pleasure to today announce the launch of what we are calling: The Capulator. The Capulator is exactly what the portmanteau in the title suggests. It is an NBA salary cap calculator. Rather than writing out cap scenarios, users can essentially draw them, save them, and share them. Ever written an offseason planning piece in which you devise various moves for your team, and create all kinds of charts and descriptions and whatever else to show your working to people? You needn’t now bother. Come here and draw it. Open The Capulator. Do whatever you want in it. Hit the save button. Save the unique ID. And that's it. Congratulations! You just created a hypothetical, and a shareable one at that. Want to know what the Charlotte Hornets' cap situation would look like if they signed Julius Randle to the full (taxpayer) MLE next summer, signed their picks and did nothing else? It takes only a few clicks. Want to know what it would be like if the Cleveland Cavaliers re-signed LeBron James to a two year minimum salary contract, signed Tyreke Evans to a partially guaranteed four year one, traded Ante Zizic and Cedi Osman for Donovan Mitchell and bought out J.R Smith for the same cost of a small family friendly people carrier? It takes only a few extremely ambitious clicks. Be as fantastical or as realistic as you choose. The Capulator is not deterministic, and need not be realistic if you don’t want it to be. What it will be, it is hoped, is militarily precise about what is legal and possible. It does not tell you what to do. But we are hoping it does tell you what you can do. c) whether there's anything we've missed. Note also a couple of things that the Capulator isn’t. It is not a trade checker – while the ability to add and remove contracts via (imaginary) trades is key to forecasting cap situations, you must verify the accuracy of such hypothetical deals for yourself. (Use RealGM’s Trade Checker or ESPN.com’s Trade Machine for such a purpose.) It is also not especially smartphone friendly. Maybe soon, but not yet. What it is designed to be, however, is extremely user-friendly. To see the options with a player's salary, simply click on it. That brings up a list of things you can do with that salary - for example, "waive", "waive with stretch", "buyout" and the like. To add new contracts via cap room or salary cap exceptions, scroll down to where they are, and click them too. The calculations and projections are then all done for you. 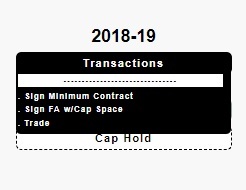 To complete imaginary trades, or to sign players to the inexhaustible minimum salary exception, use the Transactions button at the top in the same way. 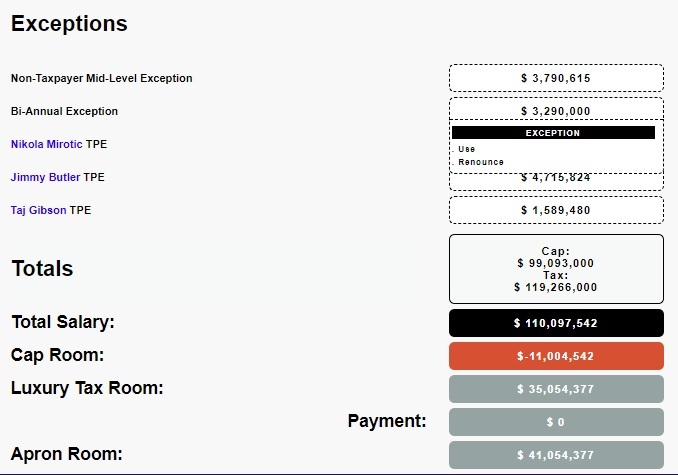 The availability of exceptions and cap space is calculated and re-calculated based on the moves you make - you decide what you want to do, and the Capulator informs you as to what else is possible. Whatever you do, however ambitious you are, however biased of a fan you are - we hope you enjoy using it. The “we” in this blurb is myself – Mark Deeks, particularly esoteric NBA analyst – and Jonathan Ruckman, particularly good coder. It is Jonathan who made it; I (Mark, the guy whose site this is) just consulted on the process, developed it, helped sculpt his initial idea, host it and wrote this bit. We hope this is a very useful tool for both your understanding and your enjoyment of the NBA's team-building landscape. On a more selfish level, we hope that it helps in this respect more than anything ever has or could ever wish to. And if it isn't, do please help us make it so. This is for the NBA cap-loving community. As a community, help us back.